Thank you to everyone who visited our stand at this years show. 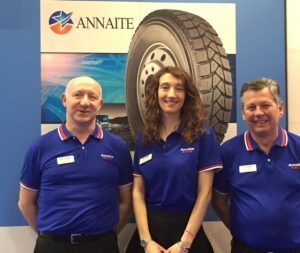 R H Claydon Ltd are delighted to be attending the CV show again this year, exhibiting our Annaite truck tyre brand. The CV Show is the best attended, largest and the most comprehensive road transport and commercial vehicle event held in Britain, and attracts nearly 21,000 business visitors. 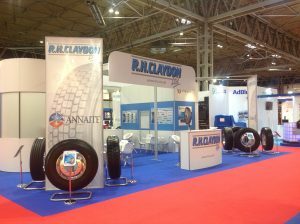 This makes it an ideal place for R H Claydon Ltd to showcase their UK exclusive truck tyre brand, Annaite. The extensive range covers all the popular fitments and patterns for short & long haul, tipper, trailer and coach application, and the excellent quality, range and value for money makes it a popular fitment choice for the discerning user. To see the product range and to meet the friendly professional staff at R H Claydon Ltd come and see us at Hall 4, Stand F50. The CV Show is held at the NEC, Birmingham, 24th – 26th April.